Laurus nobilis L aka Laurus nobilis angustifolia, Laurus undulate from Morroco, steam distilled from the leaves. 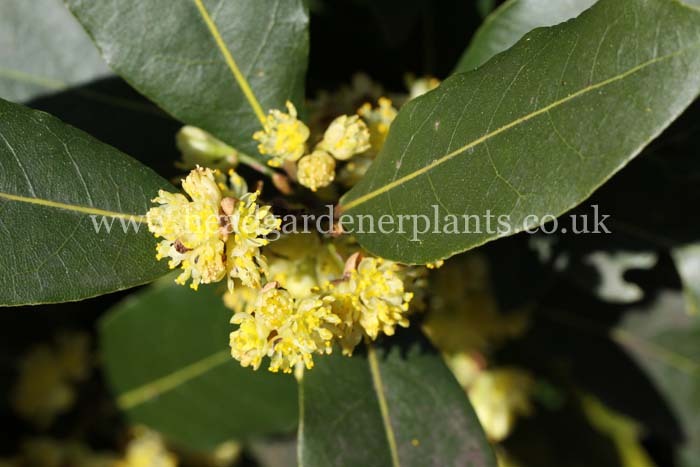 Aroma: Laurel leaf essential oil has a fresh, strong but sweet, aromatic camphoraceous, somewhat spicy medicinal odour. History: Laurel Leaf Essential Oil has been known for thousands of years, but the use of its leaves as a household culinary herb is a comparatively recent one. Description: The laurel tree is a small unimpressive shrub or tree, originating in the eastern Mediterranean countries. The evergreen tree reaches maturity after five years and yields about 5 kg of leaves per season, which in turn gives about 50-70 g of essential oil. Common Uses: Laurel leaf essential oil has antiseptic, anti-bacterial, and anti-fungal properties and can be used to treat scars, acne pimples, boils and scabies. It is reportedly a tonic to the hair, aiding with dandruff and can be used to stimulate hair growth. It is known for its strong effects on the nervous system, its anti-spasmodic and analgesic properties making it mildly narcotic. Coupled with its sedative properties, it is used for neuritis, depression, anxiety, fear and psychosis. Its stimulating and warming properties are used to produce fire and warmth in one's emotions, bringing awareness, courage and confidence. β-pinene, phellandrene, linalool, geraniol, terpineol. Blends well with: Bay, Orange, Clary Sage, Cypress, Hyssop and Juniper. Cautions: Laurel Leaf Essential Oil is non-toxic, but may be a possible skin irritant. Use well diluted. Avoid use during pregnancy.